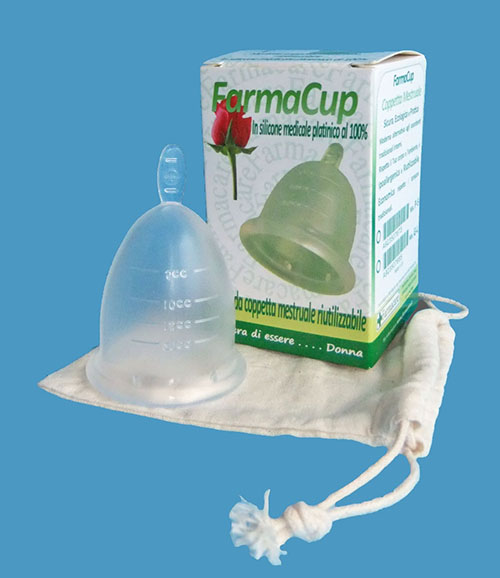 FarmaCup is made of clear medical grade silicone, and comes in both large and small sizes. Smooth in texture, it is equip with 4 suction release holes under the flared rim, measuring lines on the body of the cup at 5, 10, 15, and 20cc. Also a flat, solid stem for gripping and removal. 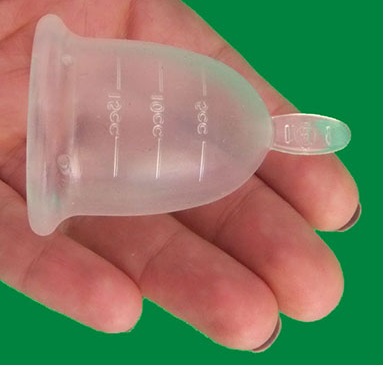 Their size small is for those who have never given birth vaginally and/or are under 30 years of age. Their large size is for those who have given birth vaginally, and/or are over 30 years of age. I was not able to find any size measurement information, however. The product box is primarily white and green with a red rose, and the cup comes with its own cotton drawstring storage pouch to store the cup in when its not in use. Instructions say to wash and boil the cup for at least 5 to 7 minutes, prior to the first use.